We’re here with the first edition of Featured Maps! If you’re not sure what Featured Maps is, just check this post and it’ll explain all about it. If you want your maps to be considered, remember to fulfill the requirements, and as usual, if you have any suggestion or you want me to check out your map, you can always leave a comment here, on our Forum or on social media. Our first pick is the map that sort of encouraged us to restart this series. This map is based on our new DLC, Seismic, and it uses it so well! This is a well balanced campaign, which gives you the weapons, ammo and health packs that you need, and only that. The rest of it is up to you! The progression of this map feels good as well, as you will feel the map gets harder as you go, but you’ll get the weapons you need for that. Plus, the story and look and feel of the map go well together. This is a campaign that I think we featured in a video or here before. Back then it was only one map though and now it’s a fully fleshed campaign! What we like the most about this one is progression. Each map is more difficult than the previous one, and you also get better weapons as you go. The maps are also well designed in terms of look and feel, and you’ll probably enjoy them a lot. This is the first part of a campaign. While the second and third parts seem to be a work in progress at the moment, the first map of this campaign is pretty good! It has an interesting story, and you’ll get plenty of action… oh, and a maze, a quite complicated maze. Just as the name indicates, this is a map where you have to kill all the bosses! But don’t fear! You don’t have to kill them all at once. You’ll get different rooms with different monsters (usually strong ones or just bosses), and different weapons that will help you defeat them. Each room is also kinda designed to help you to achieve that. So if you like to kill strong monsters, this is your map! A well balanced and well designed map. If you’re all about progression, getting better weapons and defeating stronger enemies as you go, then this is the map for you. As the name says, you’ll have to escape, and that will involve some puzzle solving, as well as killing everything that gets in your way. As the name says, this is an arena type of map that looks like a space platform! There will be a bit of parkour in this map, as you have to jump from one part of the platform to the other one, so be careful! The design of this map is probably what got our attention, as it’s quite messy, but it works well as an arena! Quite a long list this time because we wanted to highlight a few maps! Due to popular demand, we’re back with a new and updated version of Maps of the Week! This segment is now going to be called Featured Maps, and it’s going to be posted every 2 weeks, usually on Friday (Australia time), so you have the entire weekend to try our suggestions. Like its predecessor, Featured Maps is a post that includes all of our favourite community-made maps of the fortnight. If you remember the old conditions to be featured, then you might want to skip this post, but if you don’t remember them or just don’t know them, then make sure that your maps include all of the following elements! You need to create your map sometime between the two weeks previous to the post. We’ll check maps on Thursdays (Sydney time), so make sure that your map is ready by then. Your map needs to include at least one screenshot (if you don’t know how to do this, we made a tutorial post!). Your map needs to have a name (“Level Name” and “Level Description” don't count). You can make your map on let’s say the day after the post is up, and keep editing it during the 2 weeks you have, but we’re going to judge it on the day before they the post goes up (so, it has to be ready by Thursday). If you didn’t finish your map on time, but you still want us to check it out, just drop us a message or contact us on social media and we’ll check it! Just let us know. If you want to suggest a map (even if it’s an old one! ), then let us know and we’ll check it out! Just make sure that it fulfills the requirements that were stated above. So work on you maps and create new ones! We’re looking forward to test your maps and find the new community favourites! Read more about Featured Maps is back! 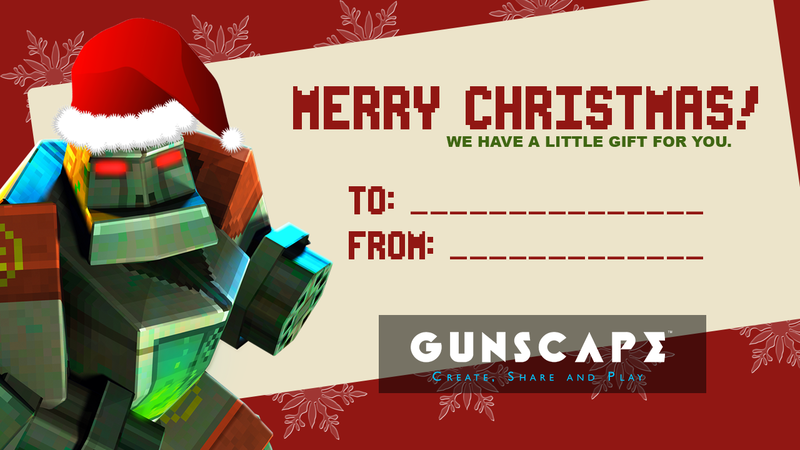 We’re just a few days away from the Holidays and we’ve got a few emails asking us how to buy and gift Gunscape! Remember that we made a special gift certificate so if you’re thinking on giving someone the joy of Gunscape, you can print it and you’ll have something to put under the tree! But enough talk! 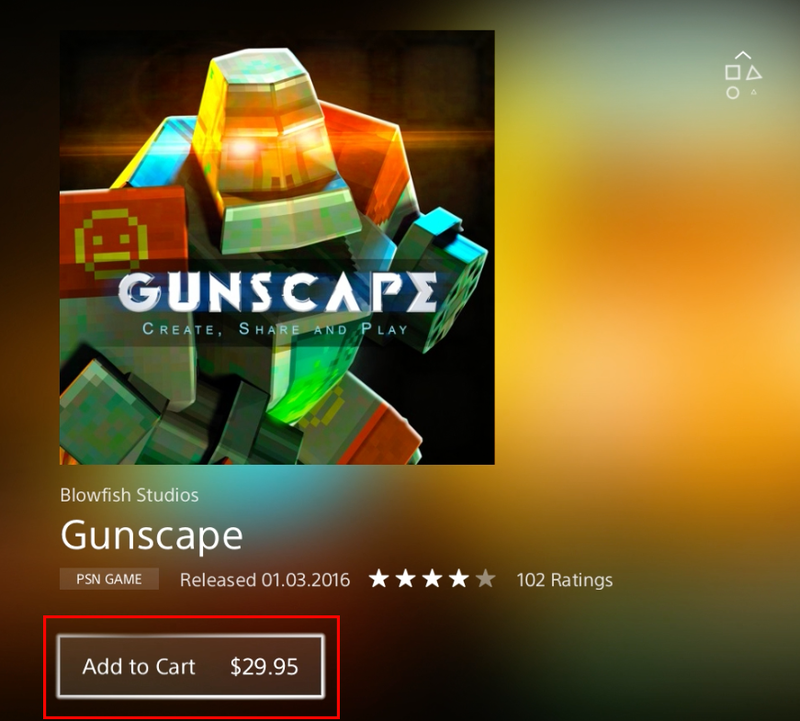 We made a “How to Get Gunscape” tutorial for Steam, Xbox One and PS4. You’ll find different ways to get the game (with your card, with paypal, etc. 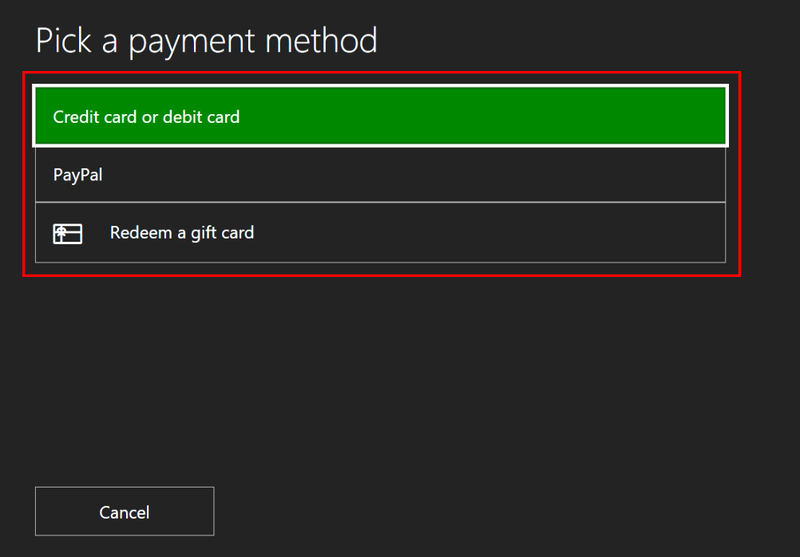 ), and how to redeem a gift card, if you’ve decided to use one. So check these guides out! If these methods don’t work for you or you want us to write another tutorial, just let us know! We’d be happy to help you so just leave a comment or contact us on our social media (Twitter, Facebook). 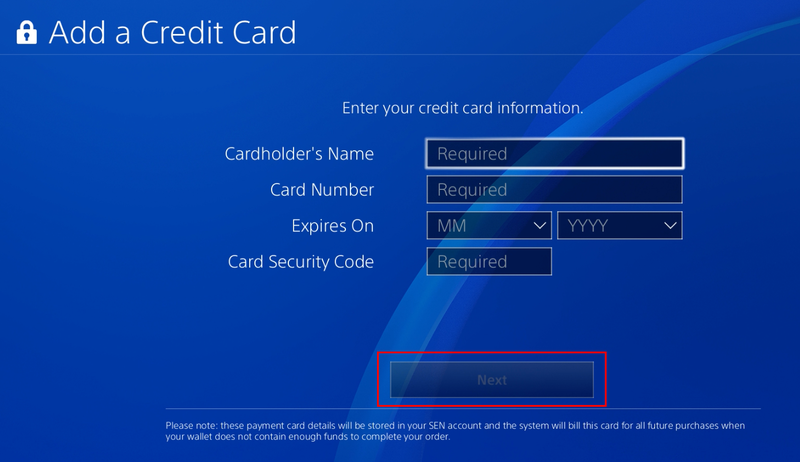 For this tutorial, we have to follow the instructions for the PS4 Australian website. If your website is different and you need help, just let us know! 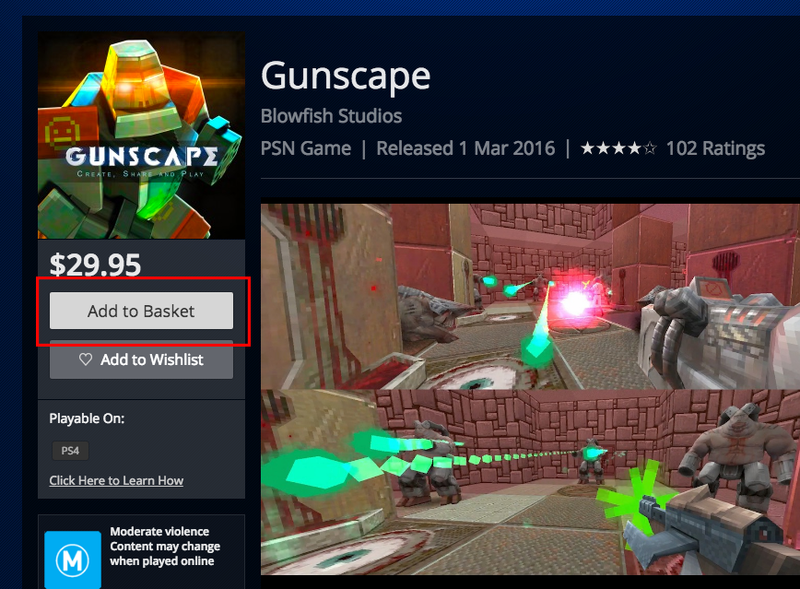 Go to https://www.playstation.com/en-us/games/gunscape-ps4/ (or to your regional store - ex. Australia) and click on “Buy Download” on the American store, or click on “Add to Basket” in the Australian store. 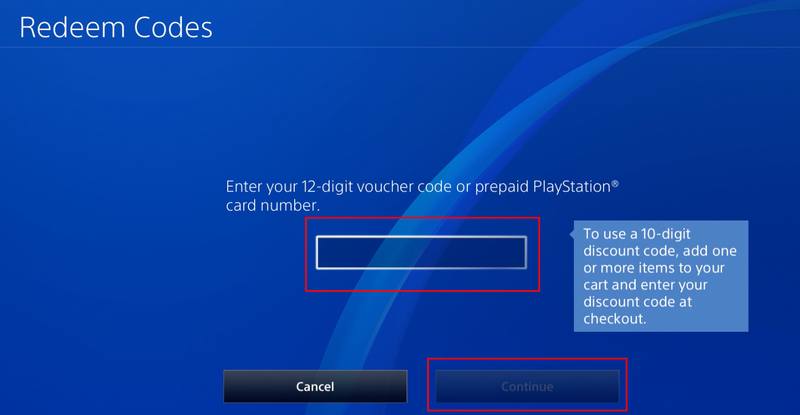 If you’re not logged into your PS account, you will be prompted to do so. Once you do, the item will be added to your basket. You will be given two options, where you can choose to click on “Continue Shopping”, if there are more games you want to buy, or “Show Basket”, if you want to go to your basket. 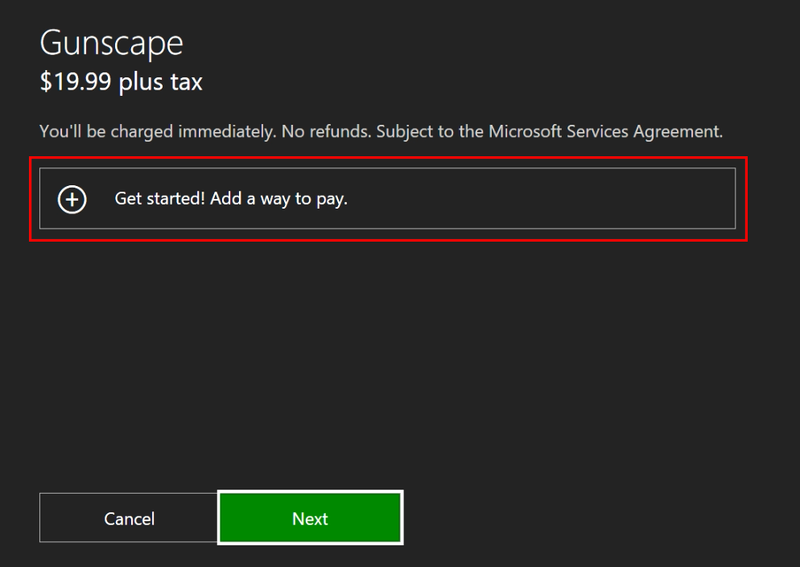 Once you are in your basket, click on “Proceed to Checkout”. 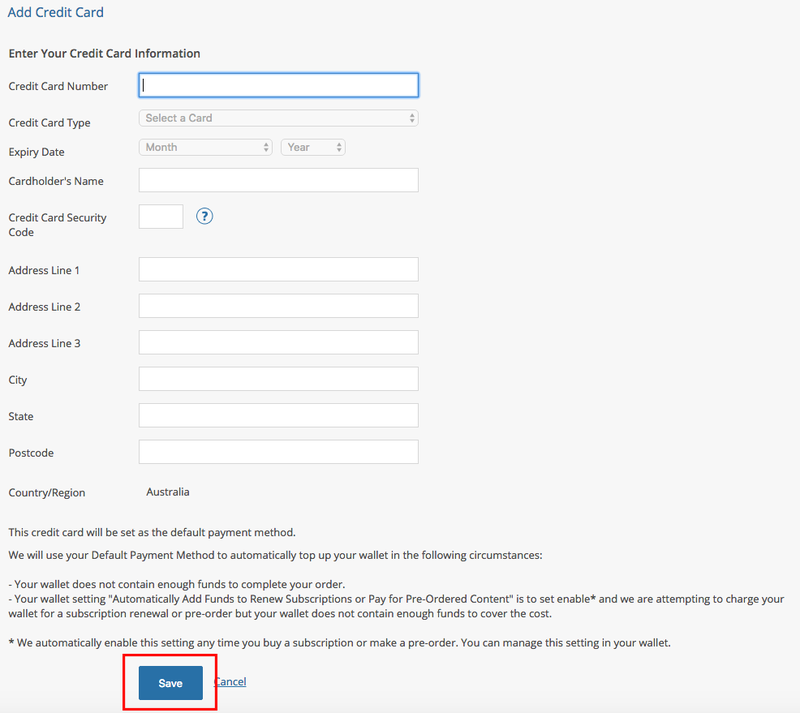 "Add Credit Card”: Here, you just have to enter your credit card information and then click on “Save”. 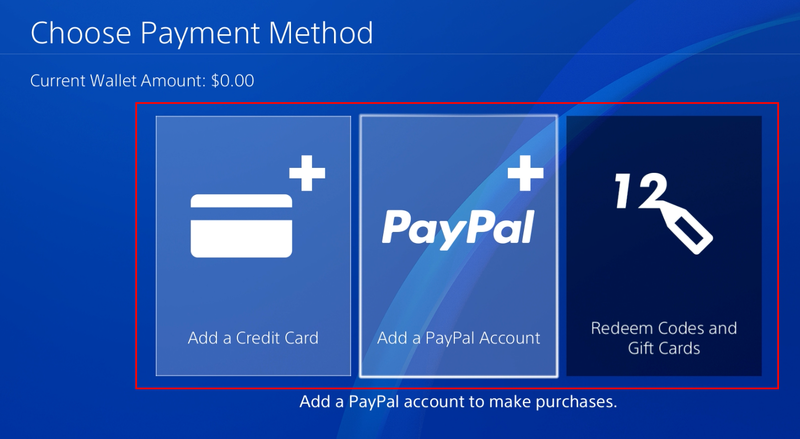 "Add Paypal”: You will be sent to the paypal website for Sony. Log in to your Paypal account, and then click on “Log In” and follow the instructions. 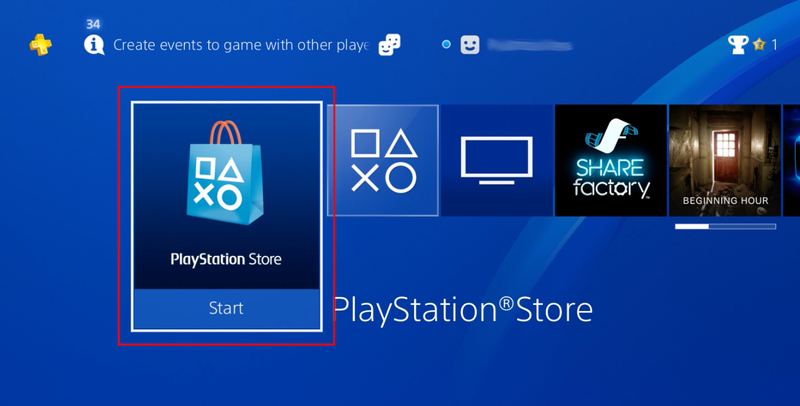 On your Home menu, go to the “PlayStation Store”. On the top menu, there will be a “Search” button, click on it. Type “Gunscape”, and a list of results will appear on your right. 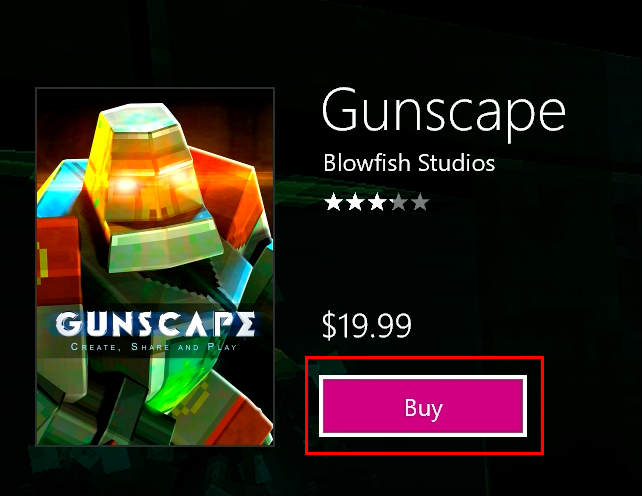 Click on the “Gunscape” item. This will take you to the Gunscape PS4 page. Here, you can click on “Add to Cart” to buy the game. 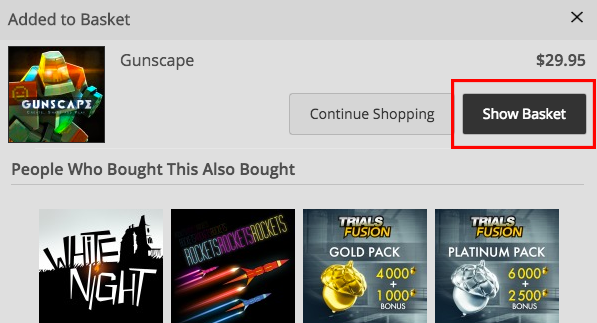 You will be sent to your cart, where you can choose to click on “Continue Shopping”, if there are more games you want to buy, or “Proceed to Checkout”, if Gunscape is the only game you want to get. 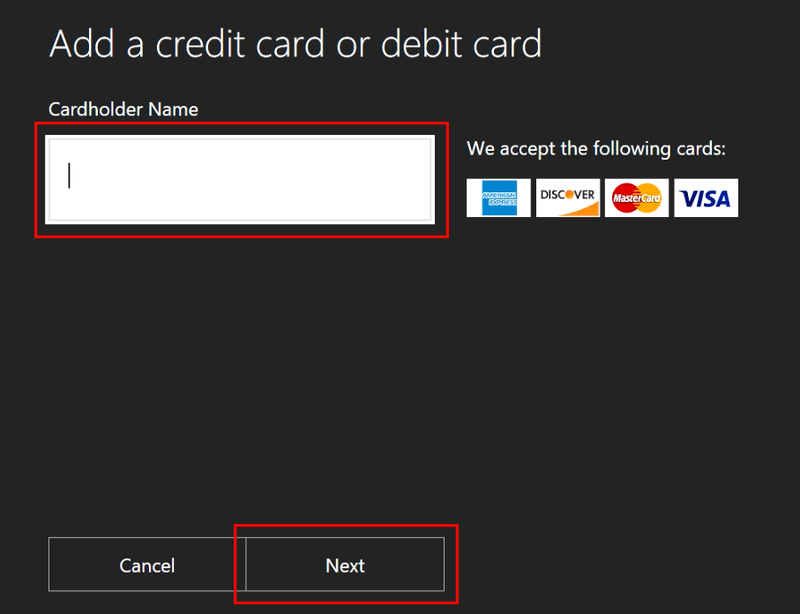 "Add a Credit Card”: Here, you have to enter your credit card information, and then click on “Next”. 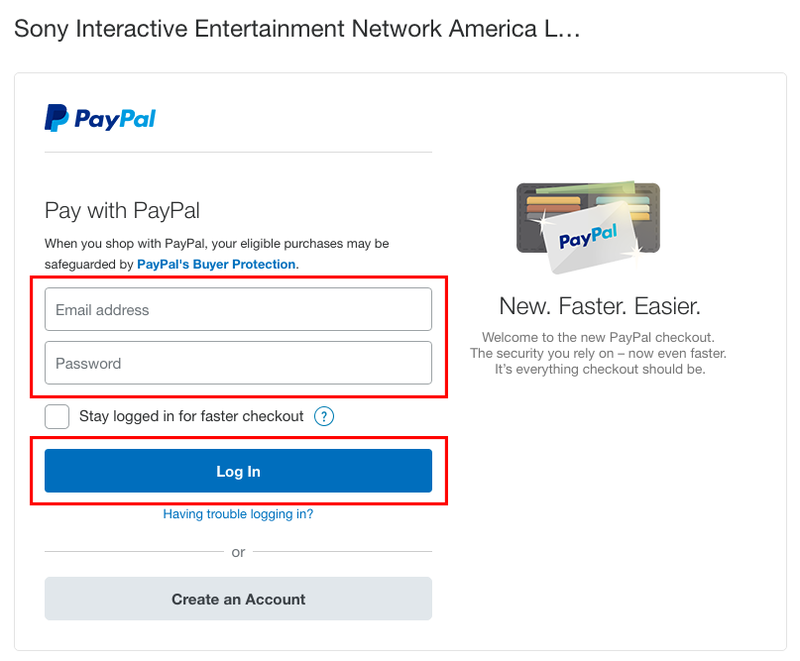 “Add a Paypal Account”: Enter your Paypal email and password, and then click on “Log In” and follow the instructions. “Redeem Codes and Giftcards”: Click on this one if you haven’t redeemed your gift card yet (if you followed the steps to do so that were indicated before, this option won’t work). You just need to type the code on your gift card and then click on “Continue”. Buy an Xbox Gift Card. You can get them at EB Games, Microsoft Store, Target, Officeworks, etc. in Australia, and your local retailer in other parts of the world. 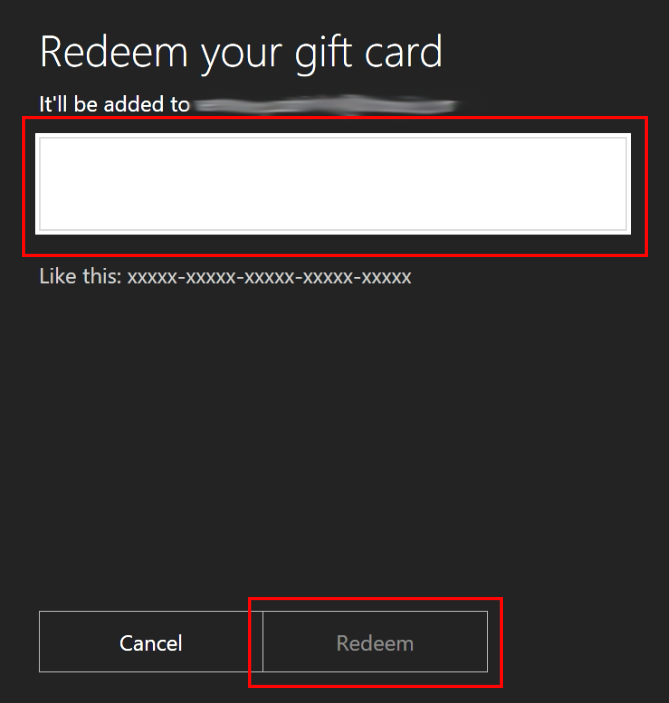 You can redeem a gift card through your Xbox One or through a computer. Gift cards usually come with a code that you have to enter. 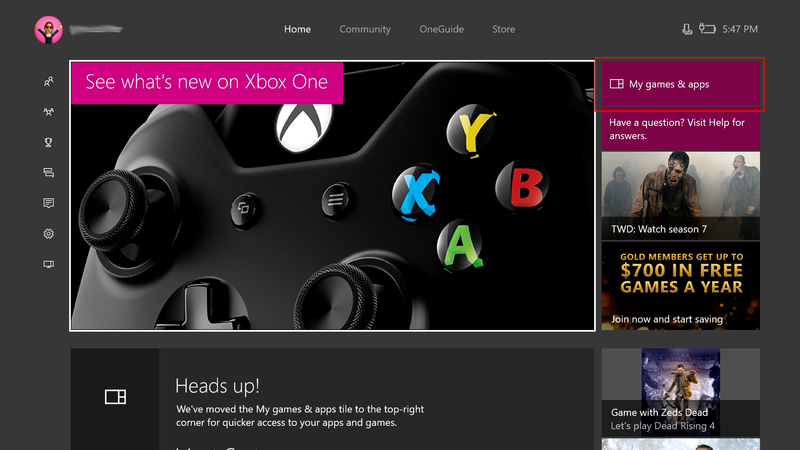 Through a computer: You have to go to https://live.xbox.com/redeemtoken and login into your account (make sure it’s your account linked to your Xbox Live account). Then you enter your code and click “Redeem”. Now, you should have the amount of denomination of the gift card added to your account. 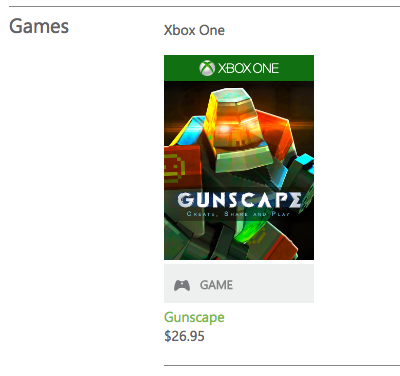 Now that you have the card money on your account, you can get Gunscape, and you can get it through your browser or using your Xbox. Go to https://marketplace.xbox.com/ (or to your regional Xbox store). In the top right side of the screen, you will see a search bar. Type “Gunscape” there, and click on the hourglass symbol. You will get a list of results. 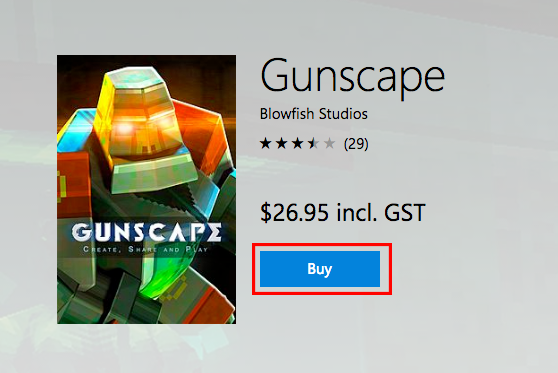 Click on “Gunscape”, and then click on “Buy”. Go to “Home”, and then go to “My games & apps”. In there, go to “Games”. In that screen, click on “Search games” and type “Gunscape” on the search bar. 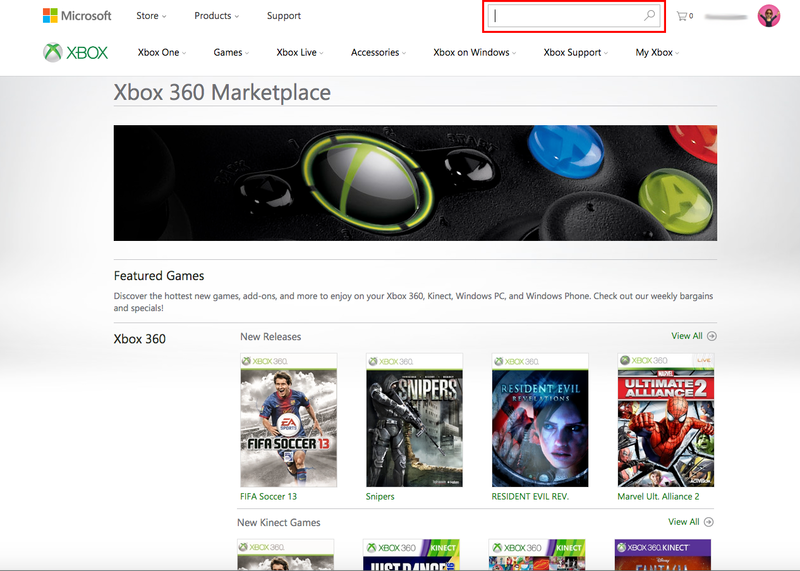 A list of games will start appearing under the search bar. When you find Gunscape, click on it. This will take you to the Gunscape screen. Now you have to click on “Buy”. If you have a passkey, this will prompt you to enter it. “Credit card or debit card”: Here, you just have to enter your card details (one by one) and follow the instructions (click on “Next”). Note that they only accept AMEX, Discover, MasterCard and VISA. 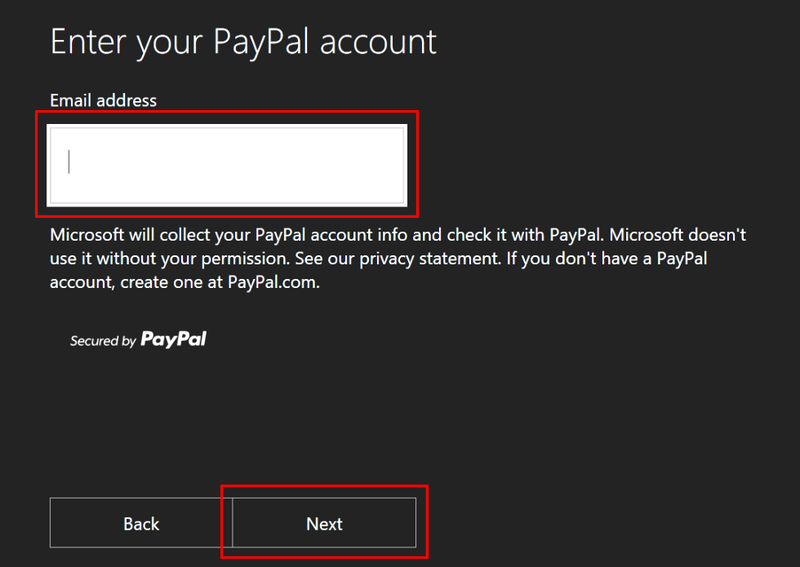 “Paypal”: Enter your Paypal email and then click on “Next” and follow the instructions. “Redeem a gift card”: Click on this one if you haven’t redeemed your gift card yet (if you followed the steps to do so that were indicated before, this option won’t work). 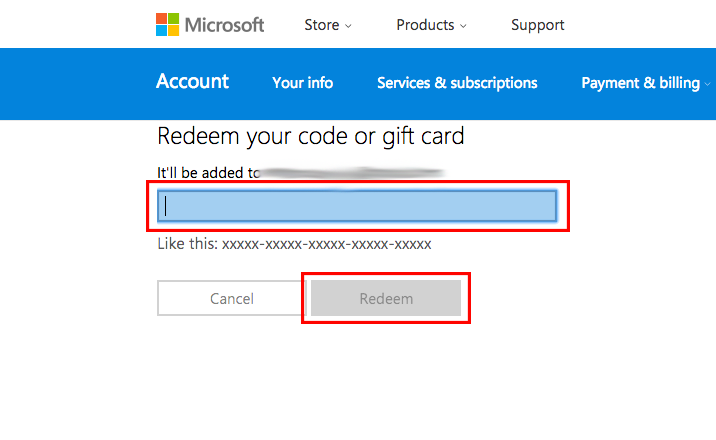 You just need to type the code on your gift card and then click on “Redeem”.